Serena Williams at the 2016 Summer Olympics in Rio de Janeiro. Serena Williams will go on maternity leave after she welcomes her baby and will take some time off from tennis until 2018, a representative told reporters. The 23-time Grand Slam champion and world's highest paid female athlete, posted on her Snapchat Wednesday a selfie of her showcasing a baby bump, with the caption "20 weeks." She is engaged to the social network's co-founder Alexis Ohanian. Her representative confirmed to E! News that Williams is pregnant and due to give birth this fall. Her representative told Reuters and Press Association Sport that Williams would sit out the remainder of the 2017 tennis season and will return to the court in 2018. For Williams, who earns nearly $29 million in salary and sponsorship earnings, becoming pregnant makes her even more appealing to corporate sponsors, industry executives told Reuters. The 35-year-old has not competed since she beat sister Venus Williams to win the Women's Singles Match at the 2017 Australian Open in January, nabbing her record 23rd grand slam title, while she was two months pregnant. Last month, she withdrew from the BNP Paribas Open in Indian Wells, California, and the Miami Open, citing a knee injury she suffered in 2016, which had also sidelined her for four months in late 2016--part of which marked the start of her first trimester of pregnancy. 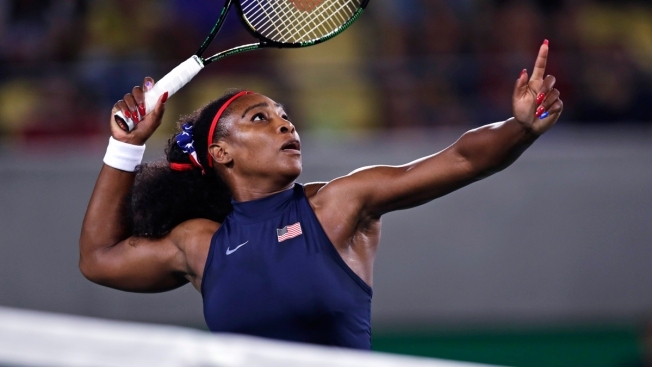 Williams has taken breaks from tennis in past years. In 2010 she injured her foot twice, and in 2011 she was hospitalized for a blood clot in her lungs. Other female pro tennis stars have left the tour to have children and then successfully resumed their careers, but all have been younger than Williams. Kim Clijsters was 26 when she returned after her maternity leave in 2009. Belarus' Victoria Azarenka, 27, missed most of the 2016 season to have a baby and is set to resume her career this summer.